In spring 2017, we learned about an opportunity to apply for the Museums Empowered grant through the Institute of Museum and Library Services (IMLS). The grant seemed like a perfect opportunity to support our efforts to increase access to the historic site experience. In October 2017, we learned we had received the grant. We had already held two dates on the advisors’ calendars, so we quickly moved forward with creating an outline for the two-day workshop. The first day of the workshop focused on orienting the advisers to Ford’s Theatre and how we operate. Ford’s Theatre staff shared as much information as possible about our historic site visit experience, the constraints we work within and the current offerings we have for visitors with disabilities. Before we moved from the conference room to the floor for a site visit, there was a brief introduction of the Personas we would use to ensure we were thinking inclusively for all visitors. Personas are fictional characters that are created based upon patron research to represent different visitor types. Due to our time constraint, we were given permission to modify the personas created by the Boston Museum of Science for their own access initiative. What are our biggest omissions or missed opportunities? What do you see as our biggest challenges? Transparency about the space, the visit and, in general, why things are the way they are. We asked our advisers to select one of the Personas we had reviewed earlier to use on day two of the workshop. We hoped this would help us define solutions to provide equal access, our conclusion from day one. What solutions should we offer to accommodate your persona’s needs? 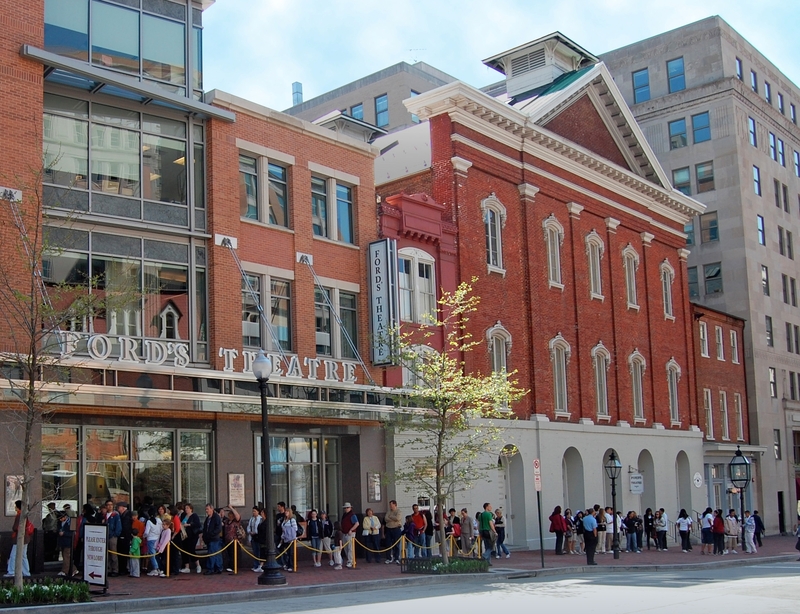 What do we need to do to make your persona feel welcome at Ford’s Theatre? What institutions are doing this (the solution) well? 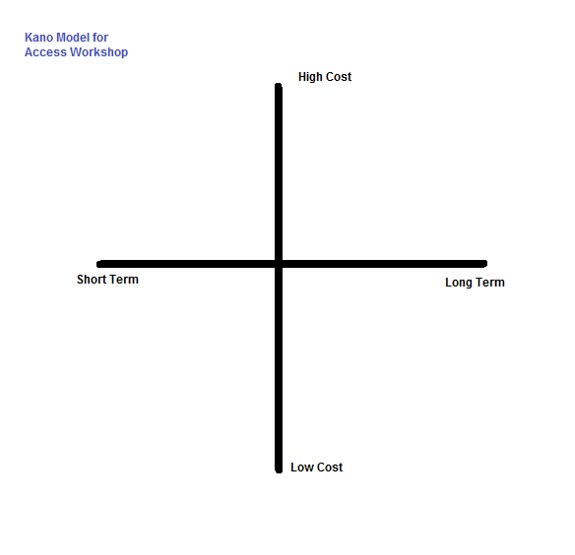 Using a Kano model, we then asked the small groups to prioritize the solutions from low resource to high resource and from short term to long term. The small groups then shared a few of their ideas with the larger group. What are the best and worst trainings and why? What are the most important aspects of staff training? What are the biggest pitfalls/risks we should plan to mitigate with training? What organizations are doing a great job with training? We were so thankful for the time, dedication and thoughtfulness of our advisors. Their two days of work provided us with an exciting list of next steps. After the workshop, our team reconvened to review all of the solutions they had recommended. We then put together a first draft of a roadmap to access solutions at Ford’s Theatre. Being able to categorize these action items and put them into a timeline was extremely helpful, especially for planning our staff training in February. The roadmap is currently in our advisors’ hands for edits, and we are excited to see what they think! Allison Alonzy is Associate Director of Visitor Operations at Ford’s Theatre.